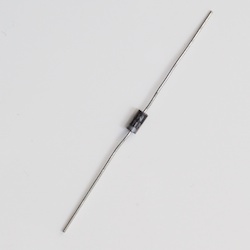 Specifications: We use these on all of our products for reverse polarity protection. You never know when someone using one of your projects is going to accidentally be hooked up in reverse. Also works really well in other DC circuits, breadboard projects, and is rated at 1A/50 volts. Here is a spec sheet that contains all of the specifications.